Ibn Sina was born in 980 near Bukhara, in present ­day Uzbekistan, then the capital of the Persian Samanid dynasty. He demonstrated exceptional talent at an early age, memorizing the Koran (the collection of divine revelations forming the basis of Islamic belief) and numerous poems by age 10. He taught himself medicine and at age 15 attended to the sick Samanid ruler, Nuh ibn Mansur. His successful treatment of the ruler earned him access to the library of the Samanid princes, where he mastered mathematics, law, Arabic literature, and ancient Greek philosophy; he became particularly proficient in Aristotelian logic and metaphysics. After a period of travel forced by the overthrow of the Samanid dynasty (c. 1000), Ibn Sina settled in Hamadan, in west­ central Iran, as court physician to the Buyid prince Shams ad­Dawlah. There he began his two great works, the Book of Healing and the Canon of Medicine. The Book of Healing, an immense achievement, covers nearly all of ancient theoretical and practical knowledge, including logic, natural sciences, psychology, metaphysics, and mathematics. His ideas show the influence of Aristotle and the Neoplatonists (philosophers from the third century onward who developed and incorporated Plato’s metaphysical theories, particularly his idea of dualistic reality). Ibn Sina’s Canon of Medicine is a grand exposition of medical knowledge consisting of more than one million words. It clearly and systematically discusses all the medical and pharmaceutical material he was able to collect. It follows the basic principles of GALEN, a second century physician who revitalized the teachings of HIPPOCRATES, Greek founder of Western medicine. Ibn Sina embraced the Hippocratic­ Galenic theory of the four bodily humors (blood, phlegm, black bile, and yellow bile). The Canon also describes Ibn Sina’s varied clinical experience. For example, he distinguished two kinds of jaundice and provided the first good description of meningitis. In 1022 Shams ad­Dawlah was killed and his court overthrown; Ibn Sina and his followers fled to Isfahan, in modern ­day Iran, and found refuge in the court of another prince, ‘Ala al­Dawlah. He spent his last years finishing the Book of Healing, the Canon of Medicine, and nearly 200 other treatises. He died in 1037 while visiting Hamadan. 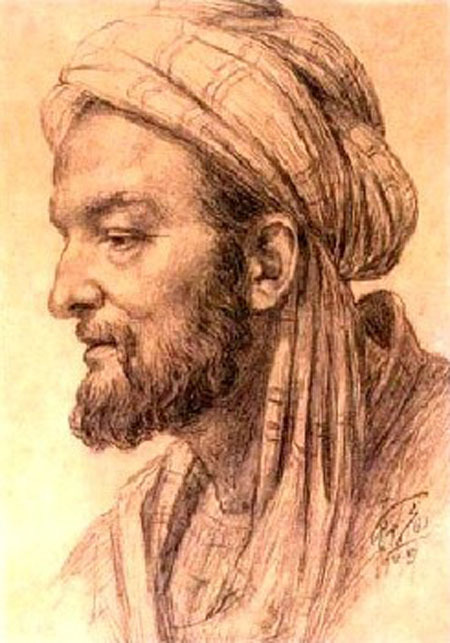 Ibn Sina’s work has influenced philosophical .and medical ideas and practices throughout Europe and the Islamic world, his medical treatises enjoying as much popularity as those of Hippocrates and Galen. Ibn Sina’s Canon of Medicine quickly became a leading medical authority and was used as a textbook in Europe until the late seventeenth century. It was translated into Latin in the twelfth century, into Hebrew in the fifteenth century, and into Arabic in the sixteenth century. Its dogmatic views supported the dominance of Galenic and Hippocratic medicine throughout the Middle Ages and into the Renaissance. The philosophy of Ibn Sina, combined with that of fifth­century Christian theologian Saint Augustine, helped shape the thought of the medieval Franciscan monks. Their scholarship, in turn, contributed to European university curricula—thus Ibn Sina’s ideas broadly infiltrated Western thought. Ibn Sina’s works are still a focus of study within modern Islam. According to some historians, he was the most influential medieval Islamic physician, philosopher, and writer, and one of the most illustrious figures of Islamic history.